Ever since we closed A Warm Wish in 2008 we have been planning for a new business opportunity, we have been exploring and building some brands, including; Crushed Grape Chronicles, stories about the wine from dirt to Glass, and recently in the last couple of years, 4farm2mrkt supporting local farms and Farmers Markets. 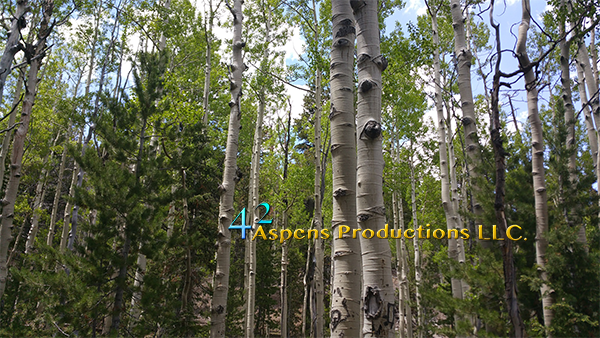 We created 42 Aspens Productions LLC in Sept 2011. We have been developing what would be the focus; a marketing company, a video company, or a business development company. We have been developing this slowly waiting for the right time. 2015 seems to be a year of dramatic change all around. The Las Vegas market is building again, the world is using social media to accomplish change. The time seems right to jump back In. SO…. 42 Aspens Productions is Officially Open! If they Succeed, we Succeed. Watch our intro video to see a taste of what we are all about. In the VERY near FUTURE we will be launching a Indiegogo Campaign to help a Micro Farm build new hoop houses, using a newly created government program that pays them back for the hoop houses once they are built. The money can then be reinvested for more hoop houses the following year. Stay Tuned as we start the build up for this Campaign later next Week. 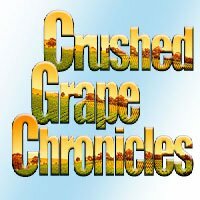 42 Aspens Productions has been developing Crushed Grape Chronicles and 4farm2mrkt along with re-developing A Warm Wish. We will be opening our doors to create video’s for YouTube Channel content, Business Introduction, Training Video’s and Website Content for introducing your business to the world. We will be developing Events to promote business partnerships and to help Promote your Ideas, Products and Business Solutions. 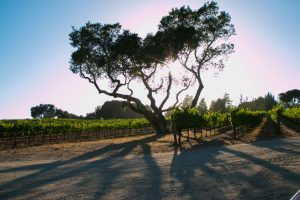 Wine Country, what great beauty lies in overlooking a vineyard in autumn, from California to Washington State, New York, Arizona, Virginia, and beyond. Grapes grown in various different climates and “terroir” ( from terre, “land” is the special characteristics that the geography, geology and climate of a certain place, interacting with the plant’s genetics ), bio-dynamically, or not, harvested and crushed, fermented via various methods with use of natural local yeast or added yeast to create the perfect balance of sugars and alcohol. The Science and Agricultural knowledge that has been gained overtime seems to have perfected the making of good, and or great, wine. Experimenting with growing different grapes in different regions add to the complexity and variations of wine, blending to create the perfect blend or allowing the “Terroir” to dictate how the wine turns out are equally effective. There are so many regions, so many variations in climate and in wine making style. Exploring the many facets of wine and wine making could last several life times, there are so many wines to taste and enjoy and experience. We created 4farm2Mrkt to share information about the great farmers markets in our area. You get to know the people who grow or make the product you eat and use, and you will find these people are passionate about what they do whether it is growing produce, baking, making soaps or jewelry. It’s better for the planet too! Buying local means a smaller carbon footprint. All in all you make a difference in your own life and health, support local businesses and the economy and you are doing something good for the planet. So join us at 4farm2Mrkt as we explore and find new ways to shop local, eat better and create a better community and a better planet. 42 Aspens Productions will be using Video and Events via Social Media to help small business Grow. So Join Us. There will be much more in the coming weeks.